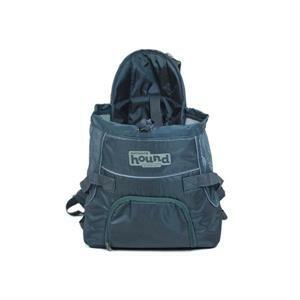 The Outward Hound classic Front Carrier is a must-have item for small dog or pet owners. Padded for comfort, this carrier features cushioned shoulder straps that adjust for comfortable placement on owners chest, breathable mesh side panels, reflective piping, and a zip-front pocket for valuables. Small size carries up to 10 lbs. Padded bottom for ultimate pet comfort. Dimensions: 13"" x 10"" x 8""